I saw this recipe on one of the blogs that I follow. It sounded both easy and delicious. And I was right! This lil app is a crowd-pleaser. 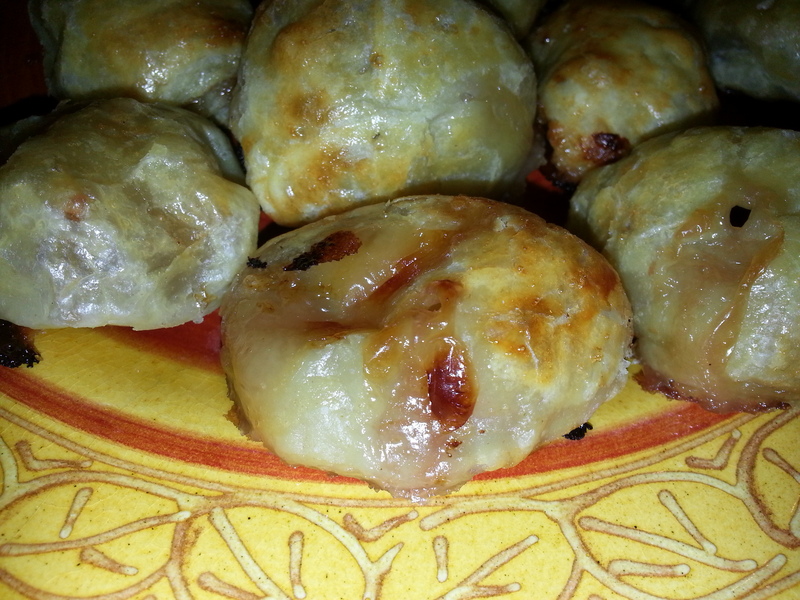 It is fruity cheese inside dough and is best when served warm. It is easy to assemble – but takes a little bit of time to get everything put together It’s well worth it though. 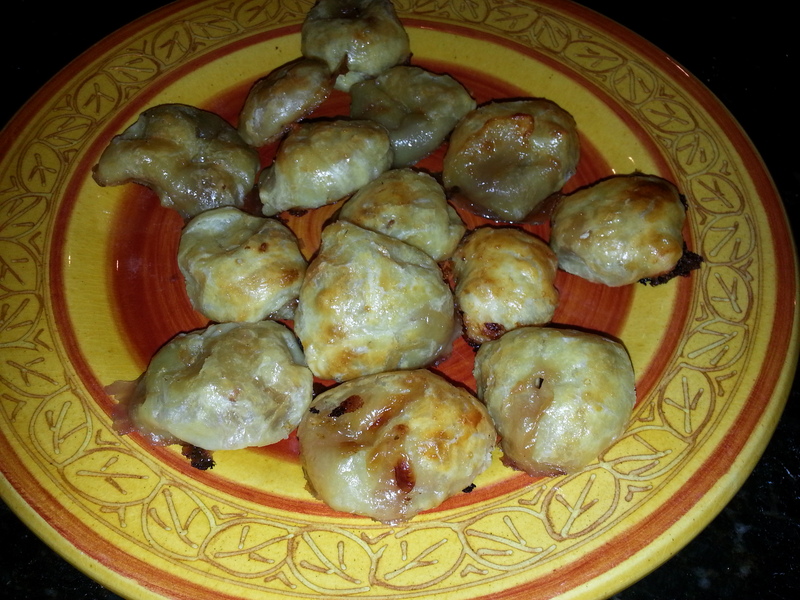 I have made this appetizer 6+ times now and each time it gets quicker to put together. I dont make it exactly as the original recipe says – laying cheese pieces on top of the puff pastry and baking it like an open-faced sandwich. 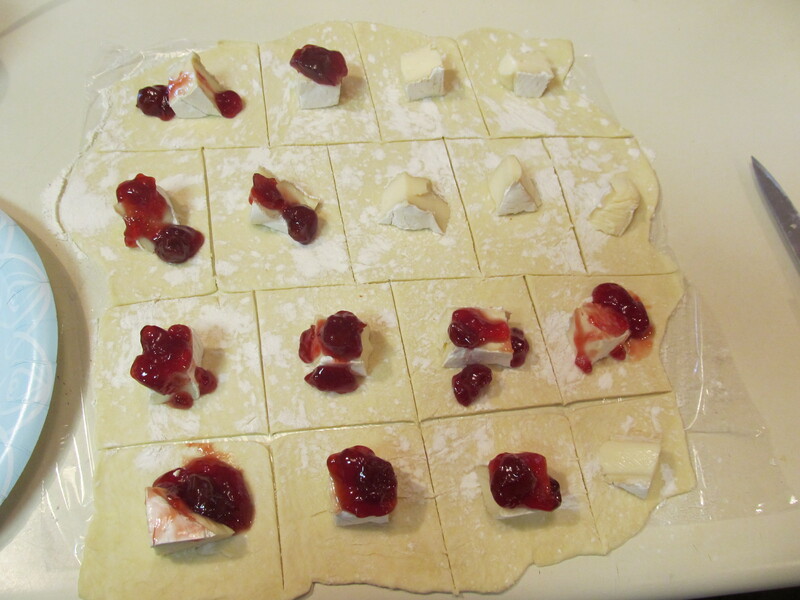 I prefer to cut out circles of dough and wrap the cheese and preserves inside the dough and seal it. 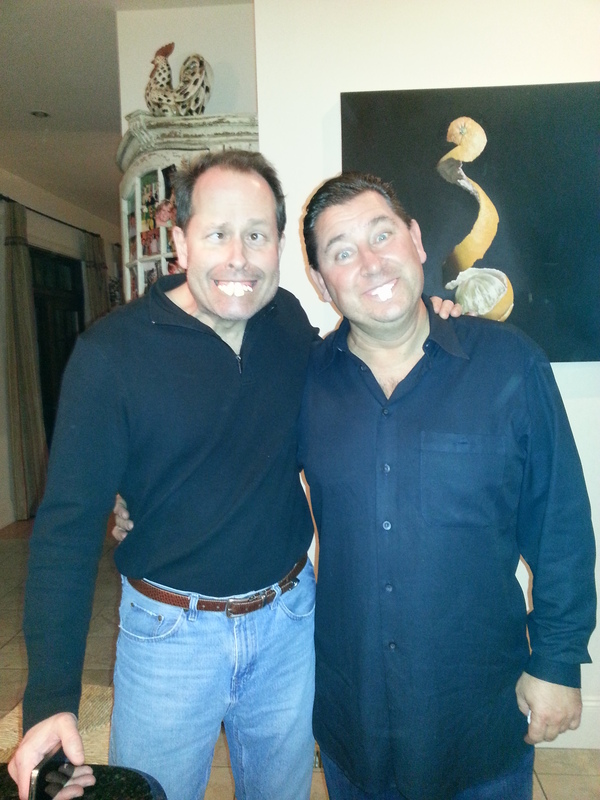 I’ve got to include my oldest brother and his best friend here…..acting stupid with their fake teeth and enjoying some Brie and Puff Pastry Bites! 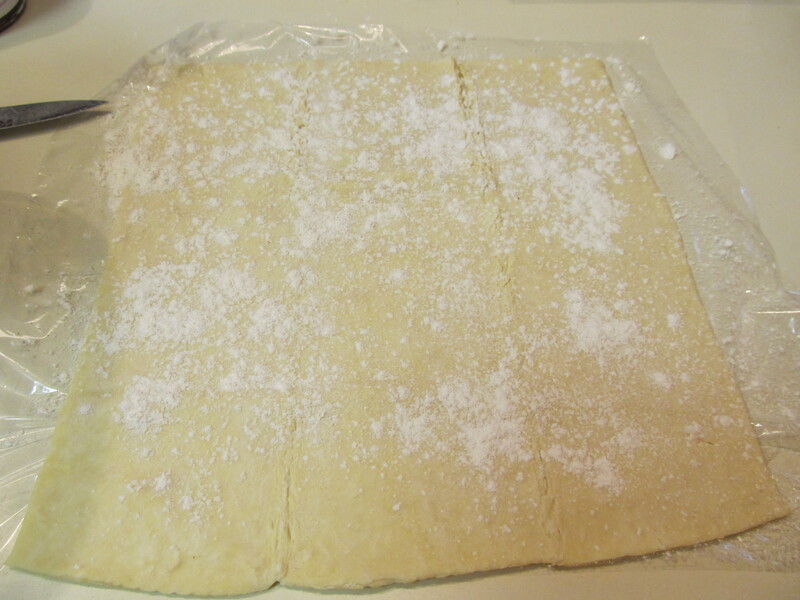 Lay out defrosted puff pastry and cut into pieces. 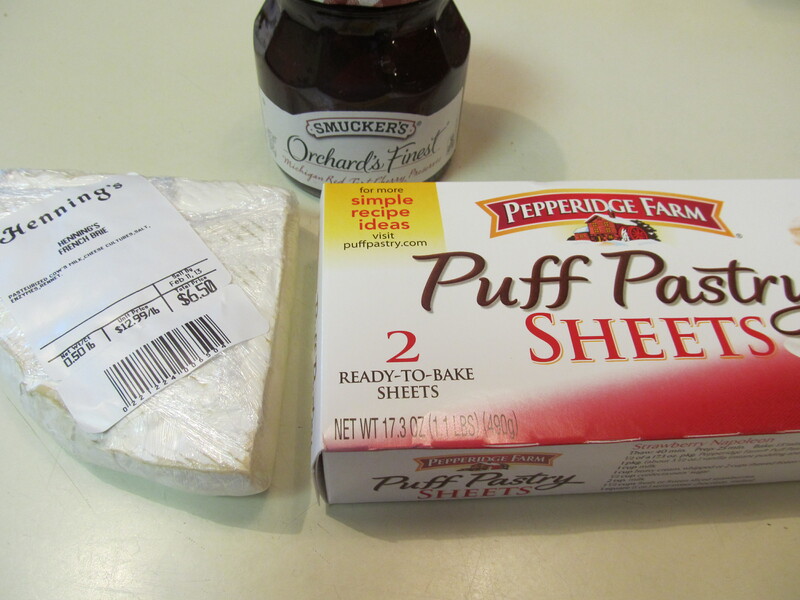 Cut brie in 1/2 inch rounds and line up on puff pastry. If you cant find the log of brie to cut rounds, just cut up a wedge into small pieces. Add a small dollop of preserves to each brie round with a teaspoon. 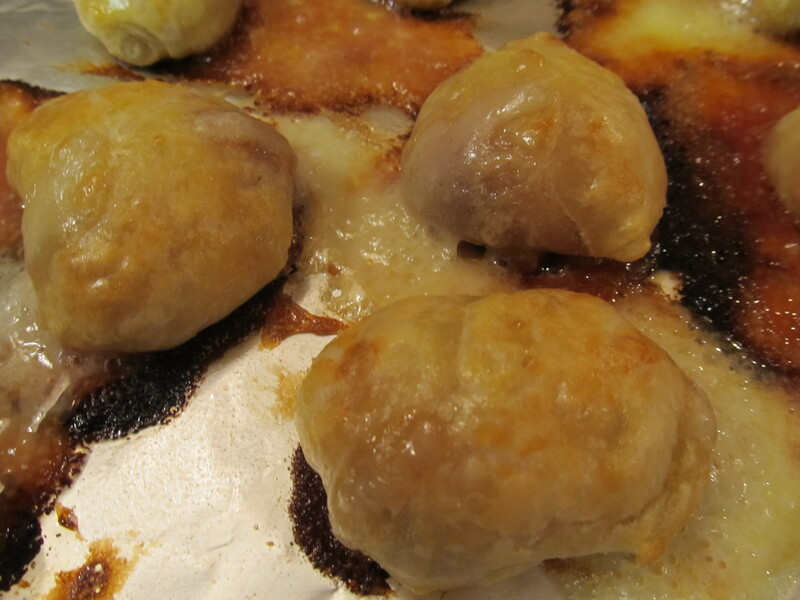 Don’t get over-zealous with the preserves – too much will bubble out of the puff pastry. 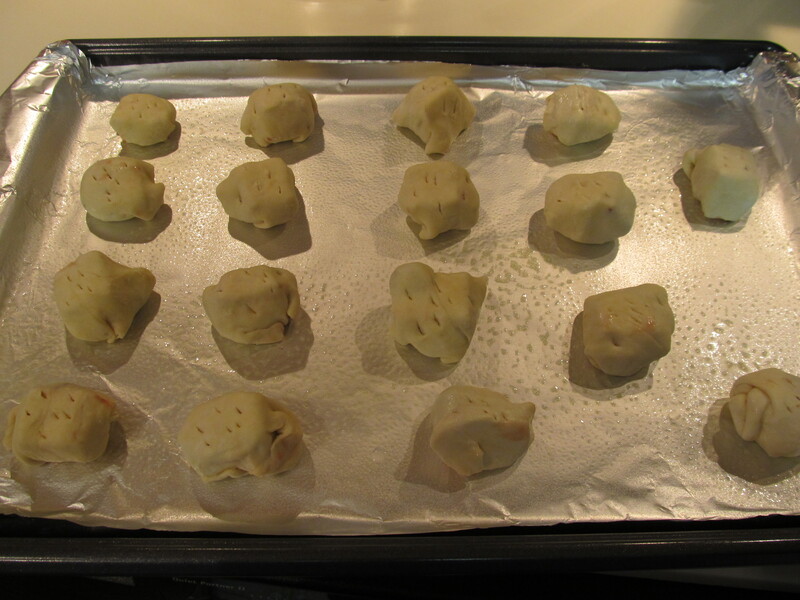 Fold over the pastry to seal and place on greased cookie sheet. 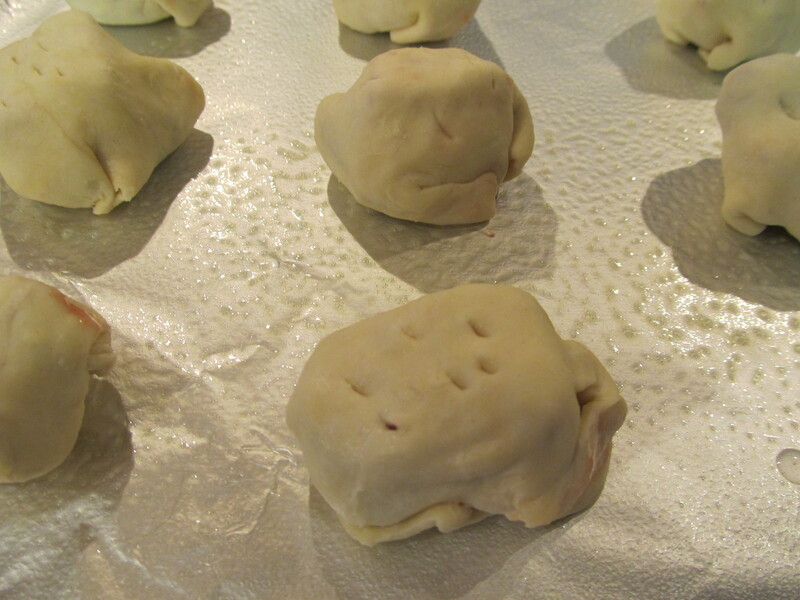 Make sure you poke holes on the top to vent the pastry as it bakes. Bake in 400 degree oven for 10-15 minutes or until golden brown. 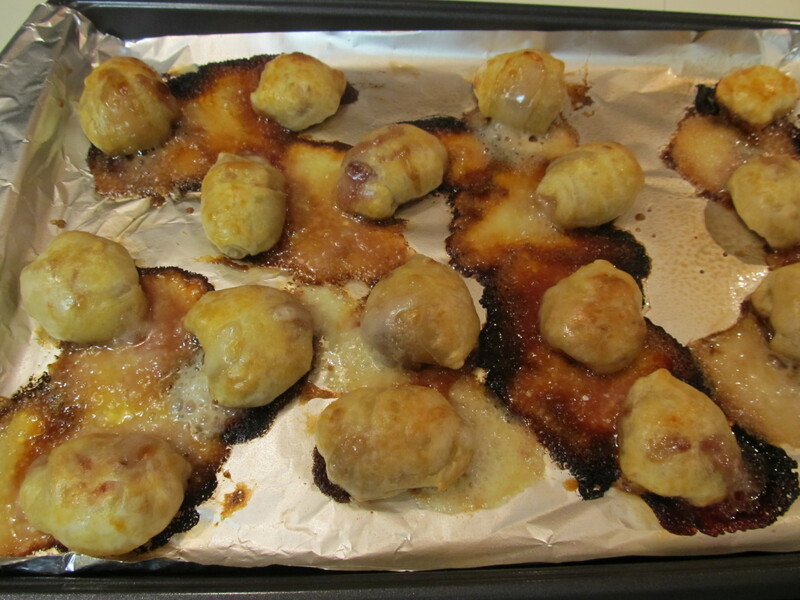 Let cool and add apple slivers on top of each puff.